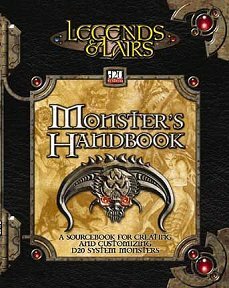 This book is designed to enable the DM to customise and enhance the monsters in his game, by providing all manner of resources and ideas. Publisher's blurb: "The definitive d20 System resource for enhancing and modifying the monsters in your game. Everything from monstrous prestige classes to new special qualities and attacks, to new templates. Make the next monster you throw at your group something they won't be expecting!"